Grind together the garlic, chile pepper, and melted extra virgin coconut oil. Mix into a thick paste with the mustard, lime juice, salt, and pepper. Place the salmon fillets in the prepared baking dish, and coat with the paste mixture. 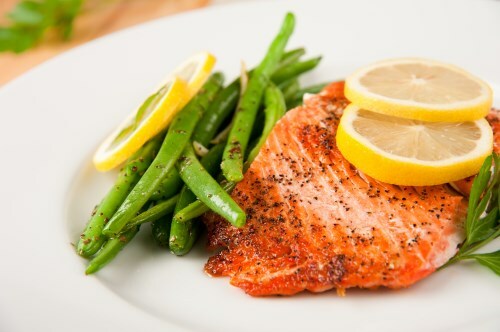 Bake salmon 12 to 15 minutes in the preheated oven, or until fish is easily flaked with a fork.